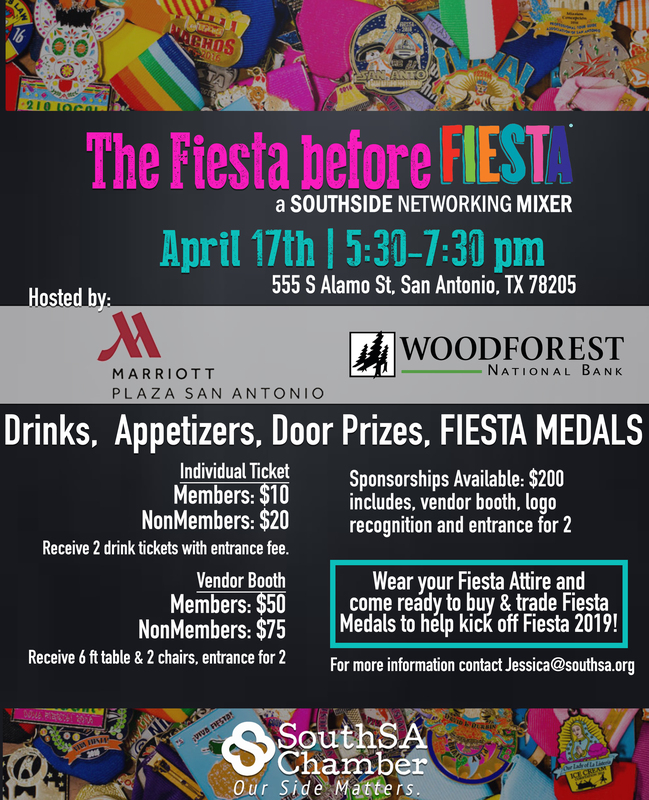 Join the South Chamber for our monthly Southside Networking Mixer - FIESTA EDITION! Hosted by the Marriott Plaza San Antonio and Woodforest National Bank, there will be raffle prizes, drinks, appetizers and more! Come in your favorite Fiesta Attire and come ready to swap some Medals!